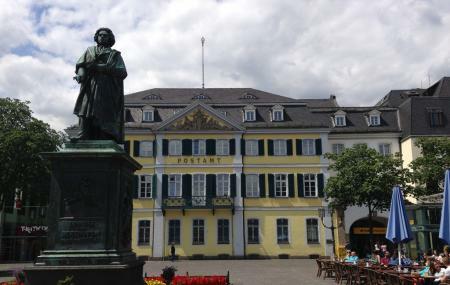 This is a bronze statue of Ludwig van Beethoven that stands on the Munsterplatz. This place was where the composer was born. This statue had been unveiled on 12th of August 1845, in his honor. That was his 75th birth anniversary. Sir George Smart declared that the facial features of the statue of Beethoven are in his good likeness. So did Ignaz Moscheles agree to it, though Beethoven’s assistant was against it. How popular is Estatua De Beethoven? People normally club together Doppelkirche Schwarzrheindorf and Beethovenhalle while planning their visit to Estatua De Beethoven.